An unforgettable experience awaits you out on the Ningaloo Reef with our experienced dive crew! 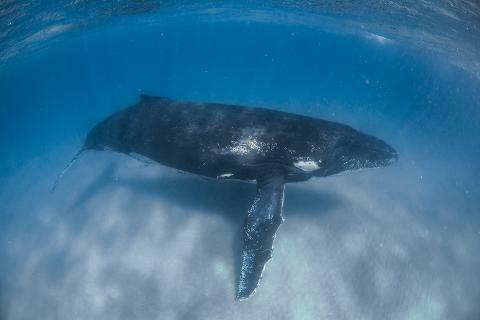 We will endeavour to show you the best of the Ningaloo Reef, watch the incredible migration of the humpback whales through the area and get the opportunity to swim with them! Direct radio communication between our spotter pilot and your swim leader ensures we get you into the best possible location to see the whales! For all those interested in swimming with humpbacks, we don't want you to pay full price if an interaction is not possible! Whales are incredibly intelligent animals and very fast swimmers so if they do not want to swim with us we cannot force them. This is why we have structured our payments with only paying the observer rate to begin and then if an in water interaction is possible we will charge you the additional fee for a swim! We will try our absolute hardest to ensure that a swim occurs but as the animals dictate the interaction, why should you pay for something that is not possible!? Our day begins at 7:20am in the shop where we check you in and give you your equipment. We then head down to the jetty to board our westcoaster style vessel and go exploring the beautiful UNESCO World Heritage Ningaloo Reef. Everyone has the opportunity to get in the water for a guided snorkel on the reef where we may see sharks, stingrays, turtles and hundreds of fish! From here we head to the outer reef in search of humpbacks and with the help of our spotter plane we locate the whales and observe them in their natural environment. They may breach, slap their pectoral fins or any other number of different surface behaviours. If the pilot and skipper deem the whales to be exhibiting the right behaviour, an in-water interaction is possible! At this point those who have signed up for a swimming spot will be gathered on the back deck and with the help of our pilot, skipper and our waterproof radios we enter the water and swim as quickly but quietly as possible to see the whales. We stay in constant communication with the pilot through our radios to help direct the group to get the best chance at an interaction. Please note that humpback whales are highly intelligent creatures and we do not decide to swim with them, they decide to swim with us. 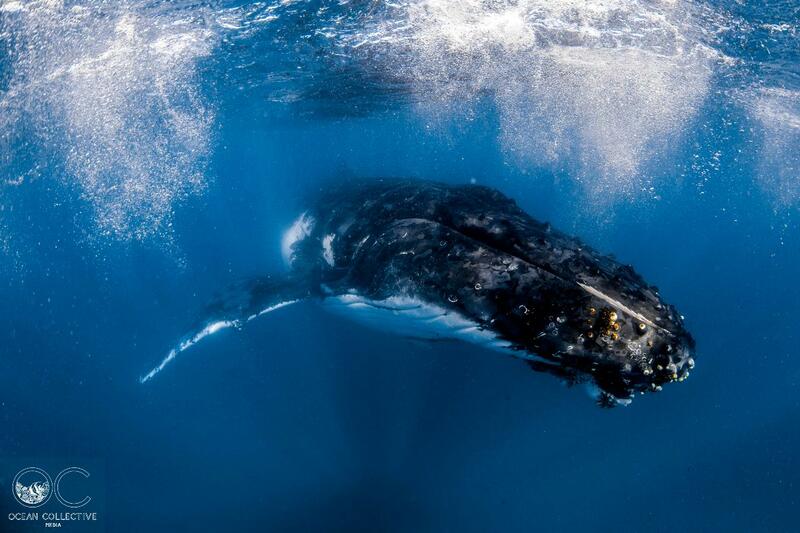 Humpbacks are very curious creatures and they may swim right up to the passengers or they may swim past. 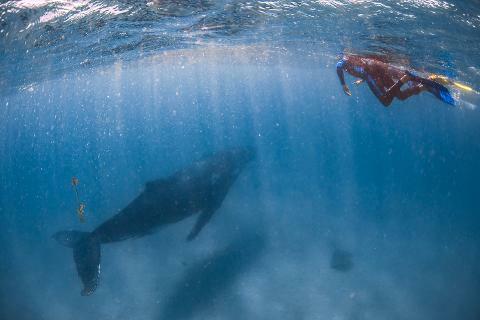 An in-water interaction is defined as being in the water within the exclusive contact zone determined by the Department of Biodiversity, Conservation and Attractions. While out on the outer reef we may spot other wildlife including whale sharks or manta rays, which we may have the opportunity to swim with! 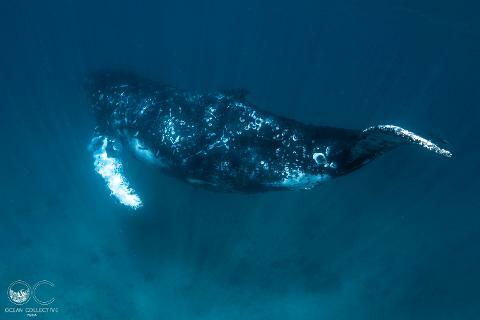 You never know what the Ningaloo Reef will have in store for you! Once we have had our in-water interaction, we come back on the boat and a full lunch buffet is provided. Once we have all filled our bellies and time permitting we head back over to a beautiful spot on the reef for our second snorkel of the day. After we have seen all that we can of the beautiful reef and all the wildlife out there, we come back to land at approximately 4:00pm. We are permitted a maximum of 14 swimmers on the tour so please decide carefully whether you will be a swimmer or an observer. A swimmer will pay the observer rate and on the date of your tour we will take your credit card details; if an in-water interaction occurs we will charge an additional $160.00 per adult and $140.00 per child. All swimmers must be confident in snorkelling as this is considered an advanced snorkel. 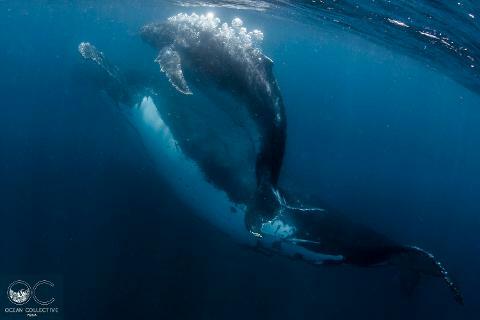 * an in - water interaction (swim) with humpback whales is defined as being in the water within the exclusive contact zone determined by the Department of Biodiversity, Conservation and Attractions.